What can you do with a degree from MassArt? Since graduating from MassArt, Robin has worked for the Boston Ballet, and has a multitude of celebrity clients including: the Rolling Stones, Britney Spears, Lady Gaga, Michelle Williams, Adam Sandler, and Selma Hayek. 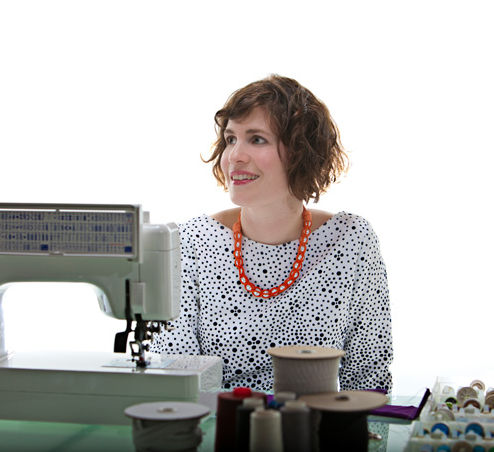 Robin is the owner of Toolkit, a mobile tailoring/custom design operation, which received a 2011 Best of Boston Award in tailoring. 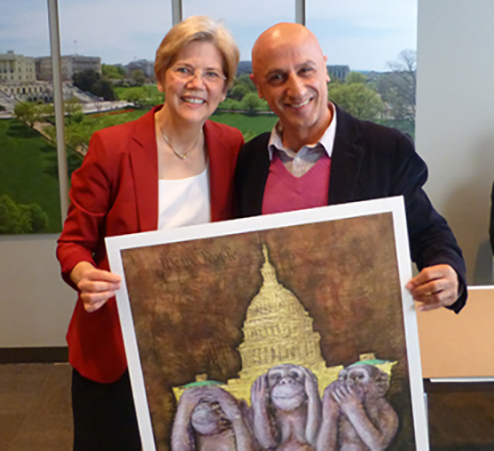 Chawky, pictured here with Massachusetts Senator Elizabeth Warren, is a Painter and Teacher who exhibits nationally and internationally. His work has been reviewed in Art New England, Boston Globe, New York Times, NY ARTS, and The Washington Post. He is the author 100 Boston Painters and 100 Boston Artists. He is an associate professor at George Mason University in Fairfax, VA, where he received the Teaching Excellence Award in 2009. 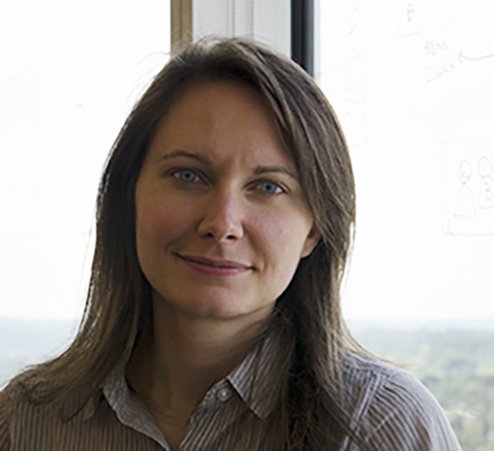 Kate Dudgeon uses her experience at MassArt to solve problems through service-based solutions and maintain a level of excellent patient care in an efficient manner at the Mayo Clinic's Center for Innovation in Rochester, Minnesota.